WHY you should STOP Giving a discount to your customer? Often enough customer will ask a discount from our business and because we want to secure the sales, we would just comply. But do you realise that every time you often a discount, it will cost your business heavily? Watch this video until the end to understand WHY a discount will cause a huge negative impact on your business and why you should STOP doing it. Also, if you know someone who offers too many discounts, do them (and me) a favour and send them a link to this video. Do subscribe to my channel to receive more business ideas, tips and explanation. Is #Motivation a waste of time? A little boy is resting under a tree, and he noticed there is a fruit on top of him. He stands up and wanted to reach the fruit, but the fruit is too high above. And he starts to jump, trying his best to reach the fruit but again the fruit is too high above. An old man walked by and saw the little boy jumping around to reach the fruit, he then walks near to the little boy and tries to encourage him to reach his goal. Motivation is good, it helps people to stay on course and stay focus. But a motivation without some proper guidance is just a waste of time. Many time team members need guidance from their leader on how to do something. The old man could have guided the little boy to use a long stick (tools) to reach the fruit or guided him on how to climb a tree (skills), instead he just purely motivate him. You may argue the little boy should have considered another method of reaching the fruit after a few unsuccessful attempts, but I would argue that should the little boy have known of any other methods his would have done so. Many times we need guidance and ideas from the leader we followed. Canva.com is one of the most popular and easy to use graphic design app (software) for the non-professional graphic designer. In this video, Coach Leik Hong is going to show you how you can use this app (software) to your advantages. There are so many urgent and important tasks to work on every day, how do you manage all these tasks? Have you ever used #Trello to help you improve your company productivity? Not sure how to use. Watch this step by step video to set up a #FREE @Trello account for your business and team. Peter Thiel is the Founder & CEO of Paypal where he sold to eBay at 2002 for $1.2B. In this book, Thiel shared 3 major keys on building a billion business. Steve Jobs – bet that people would want to use a keyboard-less smartphone, where during that time only a few people agreed with him. Airbnb & Uber – bet on traveller would want to stay in a stranger house & get into a stranger car. Besides asking the contrarian truth question, you also need to make sure that whatever business you’re starting up it falls into the RIGHT TIME? Even your hypothesis is correct about the Contrarian Truth, but if you start the business on the wrong timing (technology or human behaviour not yet mature, your business would fail either). Amazon – wanted to start an everything online store, but Jeff Bezos did not start Amazon with that. He begins with a bookstore, which is much easy to operate & less costly. While he accumulated many loyal customers and cash flow, he then explores the adjacent market (CDs & DVDs). Slowly and steadily Amazon is dominating one market segment at a time and now become the everything store. => Don’t try to get 1% of a billion market, instead get 80% of a million market. If you can scale fast and big enough, then you can play the monopoly games and dominate the market and generating massive profits. But wait, isn’t a monopoly is something evil? Google is a search engine monopoly, they made so much money from their business. But at the same time, they are also a company that funded many social responsibility projects like a self-drive car, free tools available and even free internet to some part of the world. Often you heard people were tested with this sales phases: “Sell Me This Pen“, in the event of a sales training, conference or even an interview for a sales position. And you can see the participant is doing his/her best to sell the pen back to the person who is handling the pen to him/her. Very often, you would find many of them did it all wrong. So what is the magic behind this sales technique? Here we are going to break down the sales process and reveal the magic behind the curtain. Me: (I slowly roll the pen between my index and thumb fingers.) When was the last time you used a pen? Me: Do you remember what kind of pen that was? Me: Do you remember why you were using it to write? CEO: Yes. Signing a few new customer contracts. Me: Well I’d say that’s the best use for a pen (we have a subtle laugh). Wouldn’t you say signing those new customer contracts is an important event for the business? (nods head) Than shouldn’t it be treated like one. What I mean by that is, here you are signing new customer contracts, an important and memorable event. All while using a very unmemorable pen. CEO: (picks jaw up off floor) Yes. See how simple that was. The CEO loved it. Why? Because all four sales skills were displayed. 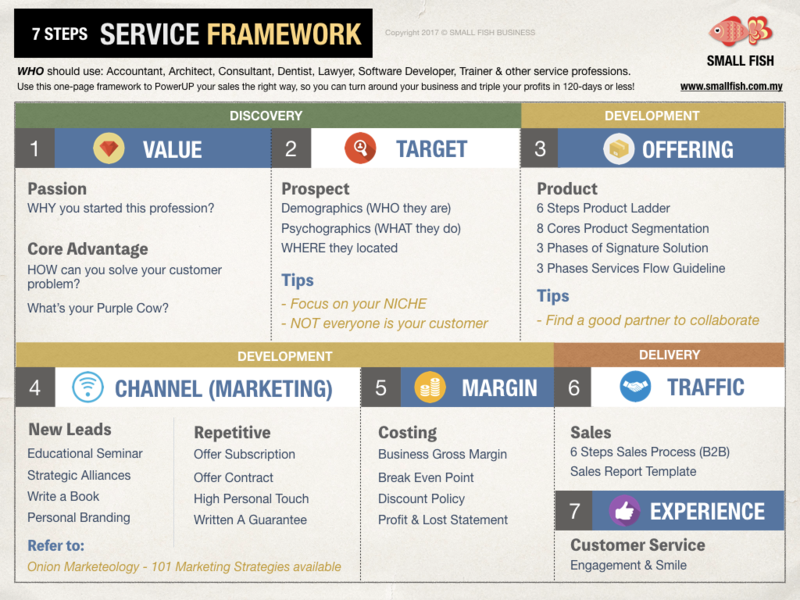 Here’s the simple sales framework I used to answer “sell me this pen”. Memorize it for yourself. Does that make sense? Yes. Ok, good. Remember, it’s not about actually selling a pen. It’s about showing how well you can sell a product. 10 Steps How I write & published a book? Self Publish a book – if one of your dreams is to write & publish a book someday, I may suggest a few quick tips for you without engaging a publisher. This was how I got my first book – “Small Fish Conquering The Big Pond”, published back in 2014. Sub-chapter 1.2: What is USP? *Don’t start writing your book until you have completed the layout of the book from the first chapter until the last. Instead of sitting in front of a computer and start writing, I took out my phone and recorded the contents of the book using an audio recorder, chapter by chapter. I just said what I feel like saying and what should be included in the chapter. 5. Then I passed all my recording to a copy-writer who help me converted the recording into text. This was how I first drafted my manuscript and begin editing the entire book with the help of my copy-writer. *If you choose not to use a copy-writer, you can now opt for using temi.com. Temi is an online voice to text converter, it only cost you $0.10 per minutes. 6. Your goal is to have about 2000+ word per chapter and combining all the chapters you would have a book about 80-120 pages in A5 size format. *Or you can opt to use online software like designrr.io to help you design and layout your book. 8. In the same time, you need to apply an ISBN (International Standard Book Number) & CIP (Catalogue in Publishing) for your book to be officially published. And if you’re from Malaysia, you can apply ISBN & CIP from our National Libabry (http://www.pnm.gov.my/index.php/pages/view/18), follow the guiding steps from the website, download the forms and submit the required documents will do. 9. Proofread, make sure everything is correct. (a) if you wish to print your book in large quantity and send it to the bookstore to sell – go for offset printing, lower in cost when you go for large quantity (2000 copies) and have better finishing quality. (b) if you just wish to print in low quantity and sell it on demand – then go for digital print (minimum print is only 20-30 book/print).